Commit Data Visualization | Hello Sekati. It can be difficult to express how much effort can go in to a piece of code – it can even be lost on the developer him/herself. Version control commit logs can be nice, but in retrospect, don’t really help you understand the breadth of your efforts & follies. This sentiment (along with my general obsession with data visualization) lead me to playing with Gource a few nights ago after spending a few hours cleaning up old workspaces & reviewing some projects I hadn’t touched in awhile. I enjoyed playing with gource so much I decided to write a little script to tweak the visualizations & export to video using FFmpeg. 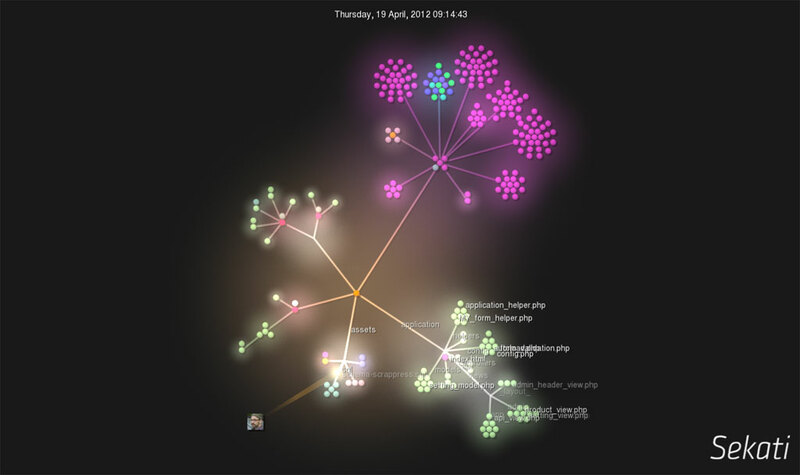 You can watch a few of my past project GIT & SVN commit log visualizations below or download my gource-visualizer script to create your own.